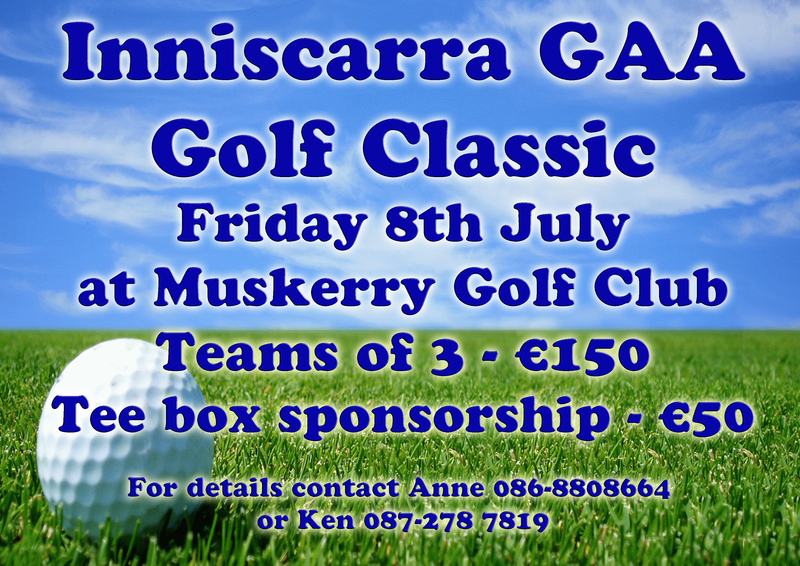 This years Golf Classic is on Friday 8th July at Muskerry Golf Club. These fund raising events are very important to ensure we can maintain and improve the club facilities for our ever growing membership. Please support this event by entering a team or if this is not possible by sponsoring a tee box/green to promote your business. Our annual Golf Classic took place last Friday in Muskerry Golf Club. Thanks to our sponsors Bodyfuelz and all who sponsored tee boxes. Well done to our winning team - Shane OâMahony, Stephen OâRiordan and Brendan OâDonovan. Full lists of winners below.